SAN FRANCISCO, CA: The global challenges of our time demand local action now: reinvigorated community involvement, renewed civic spirit, and YOU! Join us to officially kick off the U.S. Department of the Interior’s Summer Service Initiative and Outdoor Youth Mentoring Program, following the conclusion of the National Conference on Volunteering and Service, on June 25 by volunteering in the Golden Gate National Parks—the cherished parklands at our doorstep. Come out and help with vital restoration work and enjoy a great summer day outside! We will host several projects at park sites in Marin and San Francisco, with activities including habitat restoration, native plant cultivation, beach cleanups, painting, trail work, and more. Choose your favorite activity and site, and come with good energy, your waiver form, and the proper clothing. We’ll take care of the rest (tools, supplies, and project leadership). Bring the whole family and friends – the event is for everyone. It’s fun, it’s healthy, and it makes a difference! This event is being hosted in partnership with Take Pride in America®, taking the lead in the U.S. Department of the Interior’s 2009 Summer Service initiative by promoting an Outdoor Youth Mentoring Program with the mission of providing young people a positive outdoor experience with an adult mentor. By providing youth with a personal experience in nature, they will come to understand the importance of clean energy, have a greater appreciation for our treasured landscapes, and have an increased knowledge about the environment around them. The Golden Gate National Parks Volunteer Program is a cooperative, parkwide effort of the Golden Gate National Parks Conservancy, the National Park Service, and the Presidio Trust and each year over 20,000 people volunteer in these parks. The overall capacity for the day is for 400 volunteers. Hats and stickers will be distributed as recognition items at the events. For more information please click on the volunteer section at /. Projects: Help keep Ocean Beach clean and safe for all of us to enjoy! Activities will focus on collecting trash and human made debris from the beach. Projects: Help restore unique coastal habitat and maintain the spectacular grounds at Lands End. Activities will include trail sweeping, trash pickup, invasive species removal, and watering native plants. Projects: Help take care of the Presidio’s forest, trails, natural habitats, and landscaped areas. Activities will focus on tree care, trail maintenance, habitat restoration and invasive plant removal. Projects: Help us at the Presidio Nursery where we grow nearly 60,000 plants each year for habitat restoration projects. Activities will focus on transplanting native seedlings, weeding in the Demonstration Garden and pot washing. 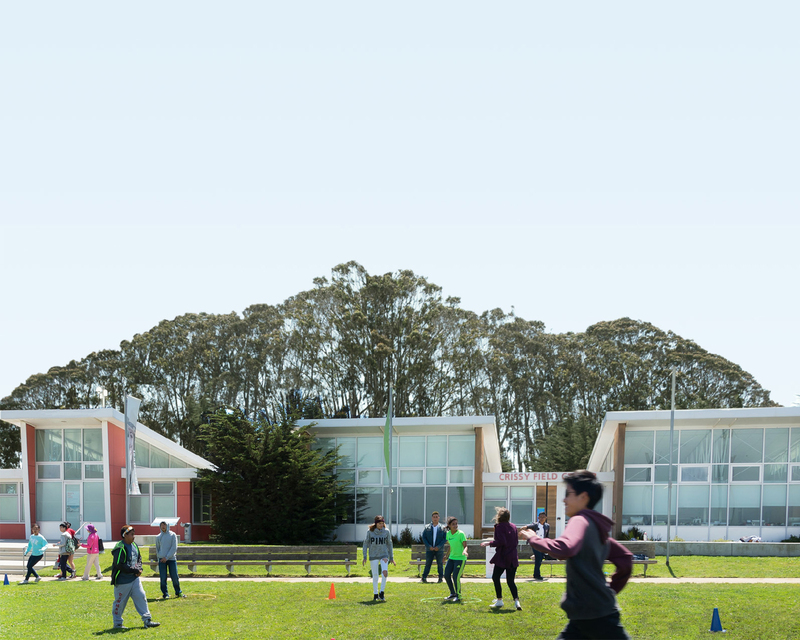 Projects: Help restore vital habitat and maintain the historic airfield at Crissy Field. Activities will focus on vegetation management, invasive weed removal, and habitat restoration. Projects: Help grow and care for landscapes at historic Fort Baker. Activities will include Parade Ground weeding, light trail maintenance, and debris cleanup. Projects: Join the Trails Forever Team to work on trail maintenance projects at beautiful Muir Woods. Activities will include hauling materials for site preparation of an ongoing construction project along the Hillside Trail, as well as deck flossing, split rail fence repair, and trail tread maintenance. Age/Level: Adults and youth ages 15 and up, chaperones are encouraged. The Golden Gate National Parks are committed to engaging the community in the stewardship of our public lands and making the parks a place for all people. Our Volunteer Program is a cooperative park wide effort of the Golden Gate National Parks Conservancy, the National Park Service, and the Presidio Trust. Our Volunteer Management Team is comprised of staff leaders from each agency, representing nearly every division and department of the park. Together, we engage a broad audience of volunteers, provide exceptional volunteer experiences, and develop new and innovative programs—while meeting the needs of the park and advancing our conservation, stewardship, and education goals. As a result, the Golden Gate National Parks Volunteer Program is consistently ranked number one in volunteerism across all national parks, for both the number of volunteers engaged and volunteer hours contributed. Take Pride in America® is a national partnership program authorized by Congress to promote the appreciation and stewardship of public lands, including parks, forests, historic sites, and schools. Take Pride in America supports more than 400,000 volunteers, is active in all 50 states, has partnerships with public, private, and nonprofit organizations, and features Clint Eastwood as national spokesman. Citizen stewards know and count on Take Pride in America for the most comprehensive online portal of public lands volunteer opportunities and for showcasing the most outstanding public lands stewardship activities through the annual national awards ceremony. We would like to thank our lead sponsor, Toyota Inc., as well as Travelocity.com.